Apple on Monday stopped signing iOS 12.1.3 code after the release of iOS 12.1.4, a routine process that ensures iPhone, iPad and iPod touch owners are running the latest version of the operating system. The code signing stoppage arrives more than a month after Apple issued the latest iOS 12.1.4 update to device users in February. 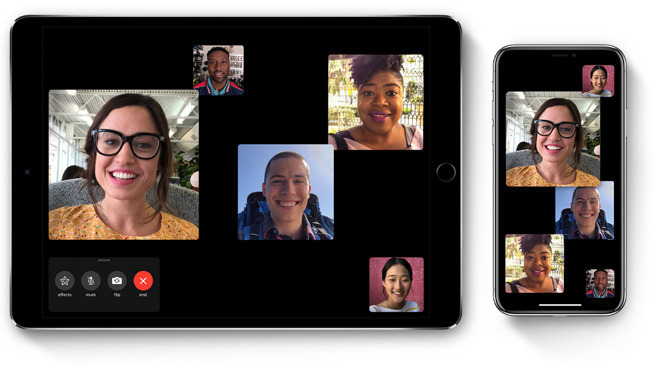 Released primarily to address a flaw that allowed users to eavesdrop on Group FaceTime calls, iOS 12.1.4 also patched a pair of zero-day vulnerabilities involving memory corruption issues. Shortly after the fix was made public, researchers who discovered the Foundation and IOKit bugs said they were being used to hack devices in the wild. As usual, the code signing change means users can only download the latest iOS 12.1.4 version from Apple's servers. Apple regularly ceases code signing to prevent users from installing old iOS versions in a bid to keep users safe from new threats. The practice also ensures devices are running the most up-to-date, compatible software. Earlier today, Apple pushed out a sixth version of its iOS 12.2 beta to developers. The forthcoming update will deliver new features like fresh Animoji characters, Control Center and lock screen tweaks, expansions to Apple News, AirPlay 2 and HomeKit support for TVs, and more. Some if my IoT devices using older iOS versions were forced to retire due to incompatibility to newer versions. Those IoT devices won’t update their apps due to various business reasons. Does it mean that in the coming 5G world, we need to replace almost all IoT devices just because we have a new iOS version?